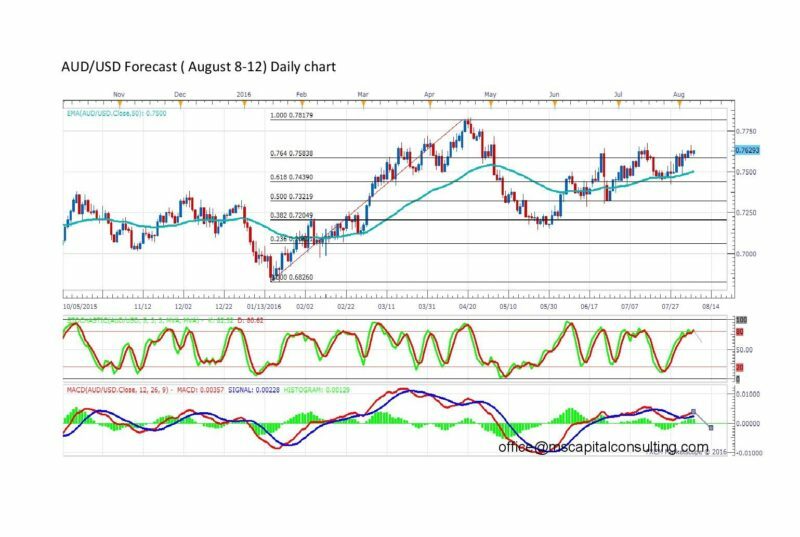 The AUD/USD currency pair may fall in the medium long term. 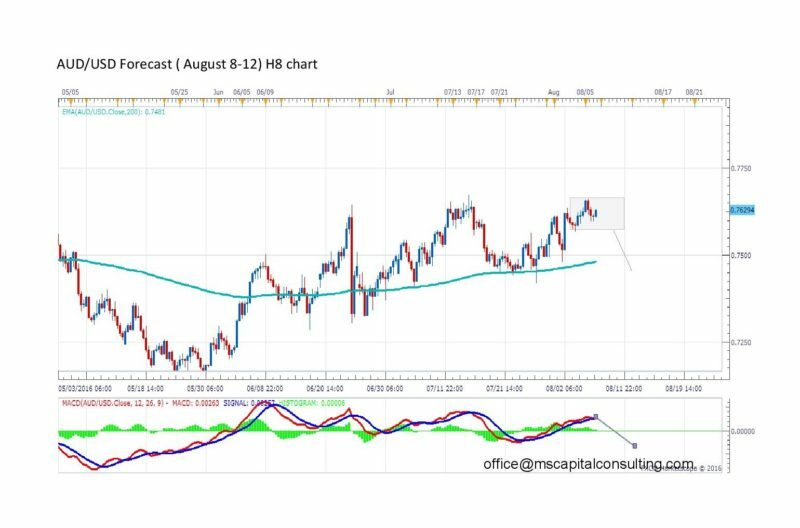 The MACD and the stochastic oscillator indicate a possible downtrend. A confirmation of a downtrend may be when the price reaches 50EMA (0.7500). This currency pair is into a range at this moment. The AUD/USD pair will exit from the range at 0.7580. The MACD on the 8 hour chart confirms the downtrend.